Do you want your coaching work to be more relevant for the needs of our time? Both coaching as a profession, and our place within it, is growing up. As the profession matures and the world quickens, in what ways are coaches now called to work? Adopting a transpersonal stance and perspective in our work is increasingly relevant for 2012 and beyond: On one hand, to help address the wide-scale impact and affliction of “soul loss:” the disconnection from self, humanity and Earth. On the other hand, for riding at the crest of the wave in service to those who actively seek evolution throughstages of consciousness as well as accessing transcendent states of consciousness. Creating a transpersonal field of presence can exquisitely meet the inner human longings for deep listening, connection, and being understood, particularly in the context of these consciousness shifts. This draws not from our coaching toolkits and techniques, but from our own substance and willingness to be both vulnerable and surrendered unto our own path of growth. It also requires an informed set of principles and ability to recognize when our clients show signs of spiritual emergence beyond the scope of traditional coaching. In this presentation, you will be invited to embody a level of coaching presence that opens the heart, invites ego transcendence, and calls forth your clients’ soul expression. Expand your capacity to hold coaching interactions that are daring and intimate; ones that truly respect and empower the mysterious soul, rich with its complexity and capacity for transformation. This sometimes calls for breaking the rules in coaching and asks us to be highly conscious of our rationales for doing so. Strengthen your skills in the ICF Core Competencies of: Creating Trust and Intimacy, Coaching Presence, Creating Awareness, and Powerful Questioning. Step up to the opportunity coaches have to provide eldership within a world in need of those who are capable of helping to engender a new era of psycho-spiritually mature men and women, and providing stewardship for our planet. Gain guidance from a Coach Trainer who has evoked the development of hundreds of coaches and assists with ICF portfolio credentialing. Further grasp what Transpersonal Coaching is and can do for you. Master of Transpersonal Psychology (ITP), BSc.,(UMass) PGDip Psych(Macquarie), DipTLC. Rain is a Registered Psychologist, Transpersonal & Executive Coach, Coach Trainer/Mentor, and Vision Quest Retreat Facilitator who passionately assists people to successfully walk a visionary, life-giving, and soulful path, meeting times of profound transition and challenge with grace.She has had a consistently successful private coaching practice for over a decade (6,000hrs+), many of her clients being coaches themselves. Rain co-founded and lectured in the transpersonal coach training programs at Nature Care College from 2002-2009, bringing the best out the personal and professional best in 100’s of trainees.Rain is the Founder of SoulScapes Foundation, www.soulscapes.com.au a private not-for-profit foundation dedicated to global transformation, healing, and soul care, through both 1:1 sessions and unique Soul Immersion Retreats based on rites of passage work and sacred earth ceremony. She co-founded the Institute of Transpersonal Coaching,www.instituteoftranspersonalcoaching.com.au, catering to the development of experienced and new coaches. Rain’s presentation at the 2009 ICFA Conference in Adelaide helped to demonstrate an understanding of, and increase the profile of, Transpersonal Coaching in Australia. With great respect for indigenous ancient wisdom and concern for modern-day global issues, Rain’s larger aim is to help us move forward to a deepened connection to one another, the Earth, and our own true being. 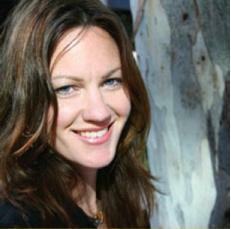 She works on location in the Northern Rivers area and Sydney, and internationally through the virtual world. Time: 11.45 am Registration for a 12 noon start. Venue: Brisbane (Windsor) International, Cnr Lutwyche Road and Bryden Street, Windsor. Bookings are essential by Tuesday 4 September, 2012. CCE units are available for this and previous seminars.Professional Development Seminars5 October 2012 – BREAKFAST FUNCTION – Venue: “Niches Event Spaces”, 433 Logan Road, Stones Corner, 4120. CCE units are available for this and previous seminars.